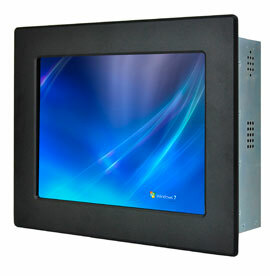 Winmate proudly presents new Panel PCs product series with 3rd generation Intel processors, formerly known as Ivy Bridge. This new processor provides high performance needed for increased computing and graphics. As follows is the CPU PassMark rating for Intel Core i3/i5/i7 and based on the chart, the 3rd generation processor has higher CPU PassMark rating. Not only equipped with high performance processor, our new Panel PCs also features various sizes from 15", 17", 19", and 21.5" to provide diversified solutions for our customers. The 3rd generation Panel PCs also features different housing that will fit for different purpose such as open frame, panel mount, IP65/NEMA 4, chassis, and rack mount.